Panelists spoke about the problems of police brutality and gentrification. GSU panelists speak about the problems of police brutality and gentrification. Graduate Students United (GSU) hosted a panel discussion with student and community activists on Wednesday evening in Stuart Hall. The event, titled “You Are Here,” aimed to give students and community members an overview of the issues surrounding the University’s role on the South Side. Panelists spoke about the problems of police brutality and gentrification, and offered ways for students to stand in solidarity with those affected. Many panelists emphasized the University of Chicago’s troubled history on the South Side. Displacement caused by new development was also an important issue for second-year undergraduate Federica Ferrari, a panelist who has worked toward striking a community benefits agreement (CBA) with the Obama Foundation and parties involved in the development of the Obama Presidential Center. The CBA requires that a portion of jobs in the Center are reserved for local residents and that housing in the area is affordable for existing residents. Actions by the University of Chicago police were another important issue for panelists. Growing up in Hyde Park, one “constantly hear[s] about how University police are harassing Black and Brown children” said Taylore Norwood, a member of advocacy group Good Kids Mad City. Panelists also discussed the role of UChicago students in both perpetuating and helping address these issues of police violence and gentrification. “It’s hard to watch people who have invited themselves into your community not care about the issues going on within that community” Norwood said. 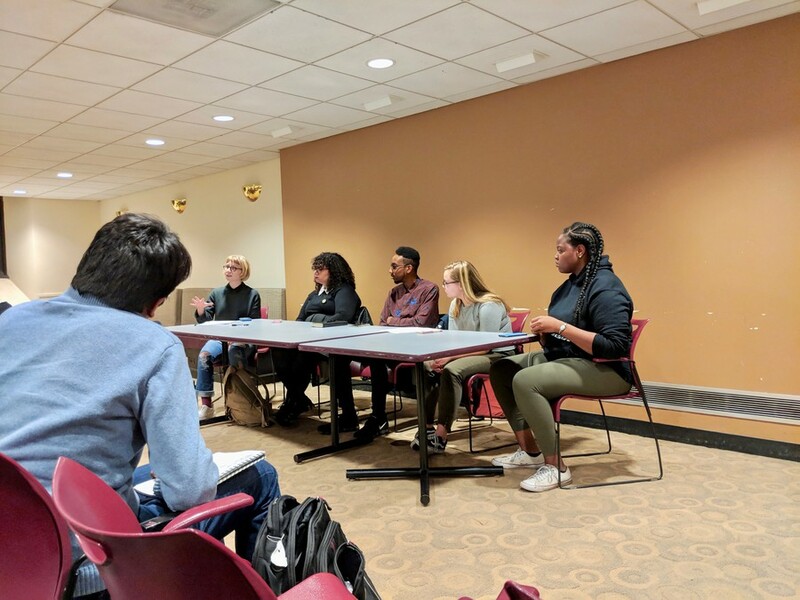 Panelists advocated for student support in various ways, while also noting the careful balance between “stepping up” and lending your voice to a cause, and “stepping back” and letting those most affected speak. Salas suggested ways to frame an organization like GSU’s mission as linked to the goals of another. “Something like ‘Union Power for Black Power’.... That kind of stuff is so beautiful to me,” she said. After the panel, audience members and panelists broke out into smaller groups. Members of GSU facilitated discussions within these groups, spurring conversation about the meaning of solidarity and ways people can turn what they had learned during the panel into concrete action. This orientation toward action was a key goal of the event according to Arianna Gass, the GSU steward who moderated the panel. “We all know the theory, but show us the practice,” Gass said.